AIAS > News > Uncategorized > FAIRY TALES 2017: Join us as we announce this year’s winners in Washington, DC! FAIRY TALES 2017: Join us as we announce this year’s winners in Washington, DC! This fall the AIAS partnered with Blank Space to put on the 2017 Fairy Tales Competition. After the record-breaking success of last year’s competition which drew over 1,500 participants from 67 countries, Blank Space opened the registration for this year’s competition in September. Blank Space worked to partner with the AIAS along with the National Building Museum, Archdaily, Archinect, Bustler and Design­Milk to put on the largest annual architectural competition in the world. We cordially invite you to the final event for the Fairy Tales 2017 competition, titled ‘A Night of Fairy Tales’ which will take place on Monday, February 6th. All competition participants receive 2 free tickets to the event. If you participated as a team, all team members receive tickets to the event. The National Building Museum, Blank Space, and the AIAS will present the winners of the 2017 Fairy Tales competition, and the AIAS will be presenting an “AIAS Honorable Mention” to an outstanding competition entree from an AIAS member/team. Enjoy passages from the winning stories read by Lauren Ober, host of NPR’s The Big Listen, and hear an illuminating interview with Alan Maskin, principal at Olson Kundig, the design firm that was awarded the top prize in 2016, about their story-crafting process. Important: All competition participants receive 2 free tickets to the event. If you participated as a team, all team members receive tickets to the event. All competition participants must RSVP for the event by sending an email to competitions@blankspaceproject.com with your full name and email address. Didn’t submit but want to join us? You can purchase tickets online. Join us for a special cocktail reception from 5:45pm-6:30pm. 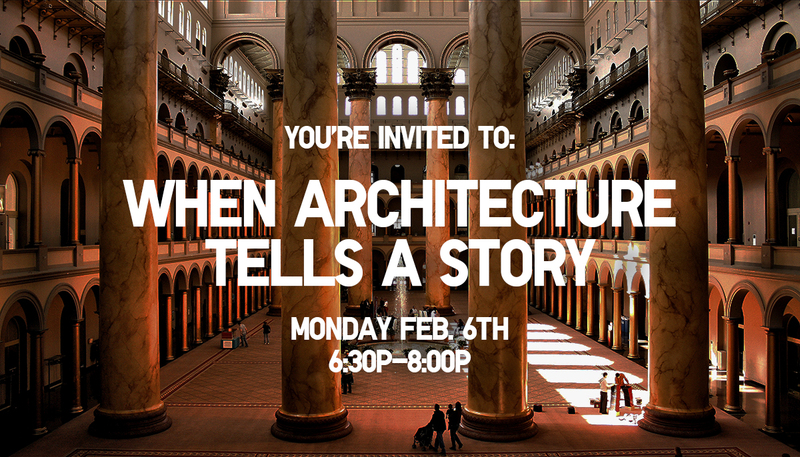 We look forward to an amazing evening under the massive canopy at the National Building Museum — we hope you will join us!